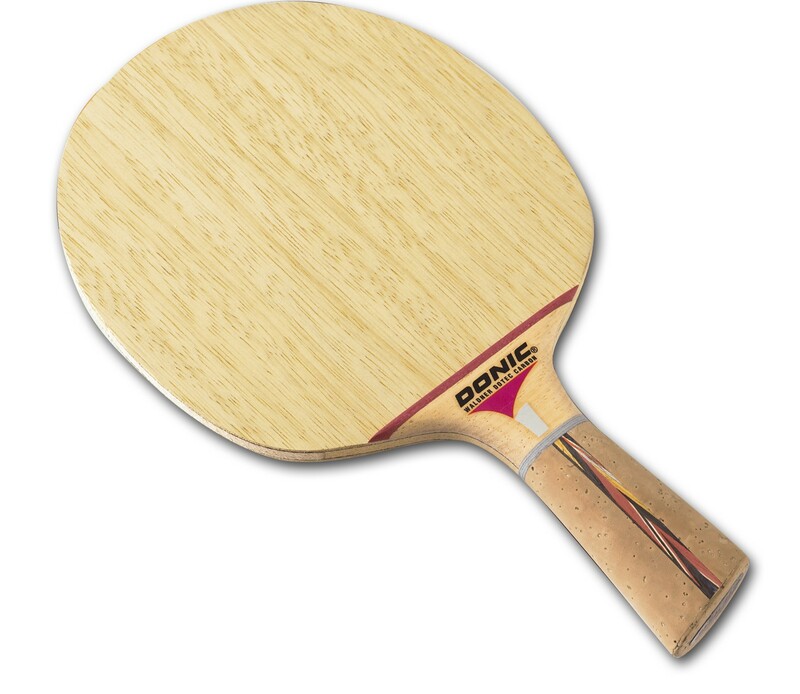 The Donic Waldner Dotec Carbon comes with a Limba outer ply, carbon plies, and a Balsa core. This combination of Limba, Balsa, and Dotec technology defines the unique performance of this blade. I have about 8 blades so far and this one is the best of them. The handle is the strong point. Very comfortable, fits right in the hand. You can really feel the large sweet spot the the carbon gives. It's very forgiving but at the same time super powerful. I'm using it with DHS Hurricane 3 NEO on both sides and it's great. My backhand game went up a couple of levels. Regarding the speed with Acuda P2 and Baracuda rubbers I would say it's on OFF, OFF- side. Good control and perfect for FH topspin. LH drives need adjustment and it may take time and patience. The handle is very comfortable and actually I didn't had any problems holding it in both ways.The only problem I had was LH strokes adjustment and surprisingly bad sweat absorption by handle (cork).. On usual handle I would just use some grip tape, but with this blade the handle is too thick on it's own. I gifted it to my friend at the club as a back up racket. She has been using it for the last 7 years and simply love it this kind of handle. i bought this blade and measured the weight of the blade. instead of 85 gram it weight 97 gram . so i wander why ? By comparison of all the blades that I have in the past, so far …this is the best bat that I have right now. It suited my style of play, and the handle is amazing…excellent anatomic design which prepares your hand for FH and BH loop and counter drive. The wood combination is deadly…it is fast and good control with solid sound. To be honest, my winning points dramatically increase after I have been using this bat. The price is reasonable and the delivery is fast. Cheers to you Tabletennis 11!!! This is my 2nd blade, and the handle was a bit thicker than the first one. I had to sand it a little. Been playing with this every day for about 6 months and it is getting to the point I think the handle might be too thick for certain things. But when I first used it I though it was the best blade ever! This product is rated highly by our Club's members. Over time we have purchased several of them. It is reasonably priced with good control and speed. Excellent Products, Services, More Orders, Well Done ! always a short adjustment time for every new racket. This blade is good control and speed. The Dotec is a weird creature which is actually a monster. The wood combination is very nice. It is quite light and makes a perfect sound. The curvatures between the handle and the surface is very smooth and high, which reduces the friction between the wood and your fingers to zero. The handle is made out of cork which is very soft but it lets you hold the blade very firmly. The anatomic design is very good. FH - Very good topspins. OFF- speed. I would go for a faster rubber if you are an experienced player. BH - Perfect spins, perfect block. High accuracy. Light and comfy but very fast blade ... I liked it so much. Amazing blade with all possibilities of game. I playing with this wonderful blade for one year. I think it's the 4mm of balsa in the core. 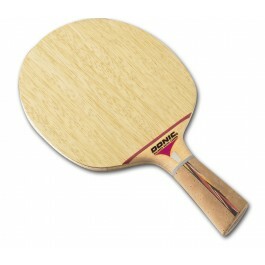 This paddle is quite light and has a good weight balance bouncing very well and good ball feeling. I likes the grip, ones you get used with this grip you will not go back to the normal handle. I got it in 10 days! I am very satisfied, its really high quality blade ! thank you! you can expect a new order soon and of course I will recommend you to all my friends! wish you successfully further business! I am loving this blade, gives the ball a certain amount of spring and is amazing for blocking. The grip is very very comfortable too! Muy Buena Madera, CONTROL Y VELOCIDAD.